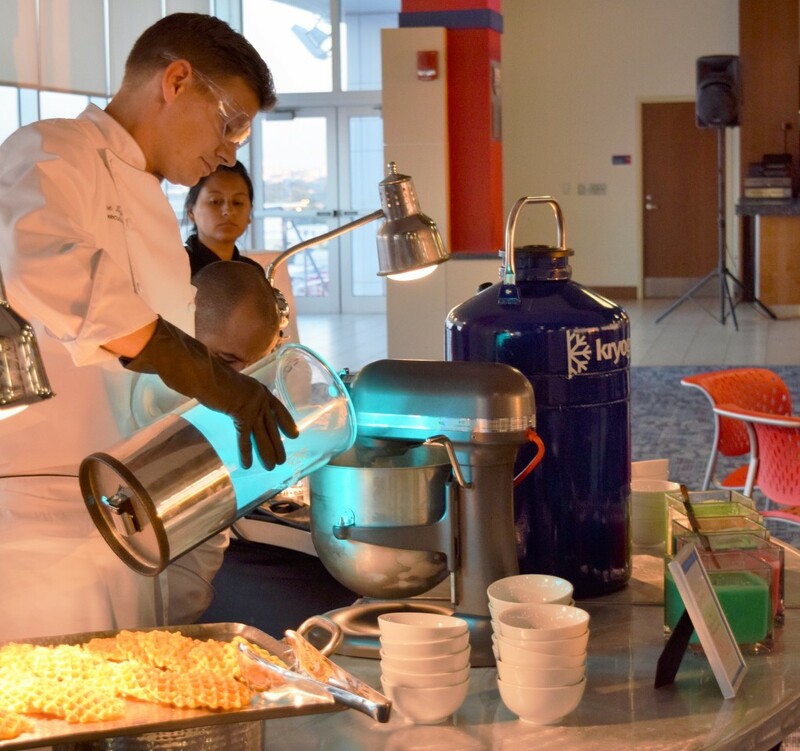 This month, our Teaching Kitchens have been tailored to address the needs of students as the holiday season approaches. From preparing the perfect Thanksgiving meal to learning proper portion control, personalized programs are designed to create a foundation for a culinary fun and healthful choices to last a lifetime. Developed by Harvard T.H. 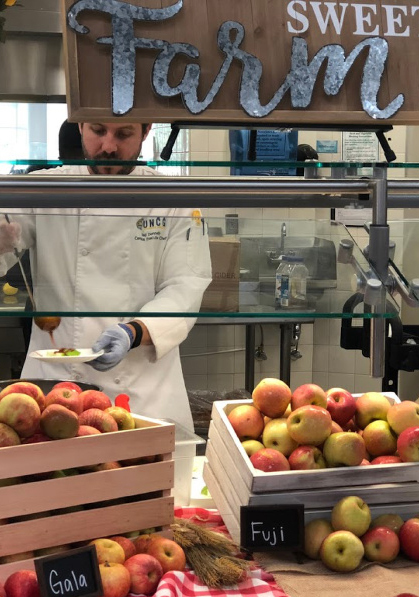 Chan School of Public Health and The Culinary Institute of America 2016, the Teaching Kitchen Collaborative is an invitational network of thought leading organizations using teaching kitchen facilities as catalysts of enhanced personal and public health. Through this network, we bring the learning to students and staff at more than 280 campuses across the nation. The Teaching Kitchen is designed to teach people about health and nutrition through fun and interactive educational opportunities. This month, executive chefs will teach culinary basics to prepare the perfect Thanksgiving meal. Students participating at the Teaching Kitchen will learn how to properly carve a turkey and make their own gravy and cranberry sauce. Chefs will also provide recipes and tips on how to creatively prepare Thanksgiving leftovers. In December, guests will receive a personalized education on the proper portion sizing, just in time to set those wellness resolutions for the new year. 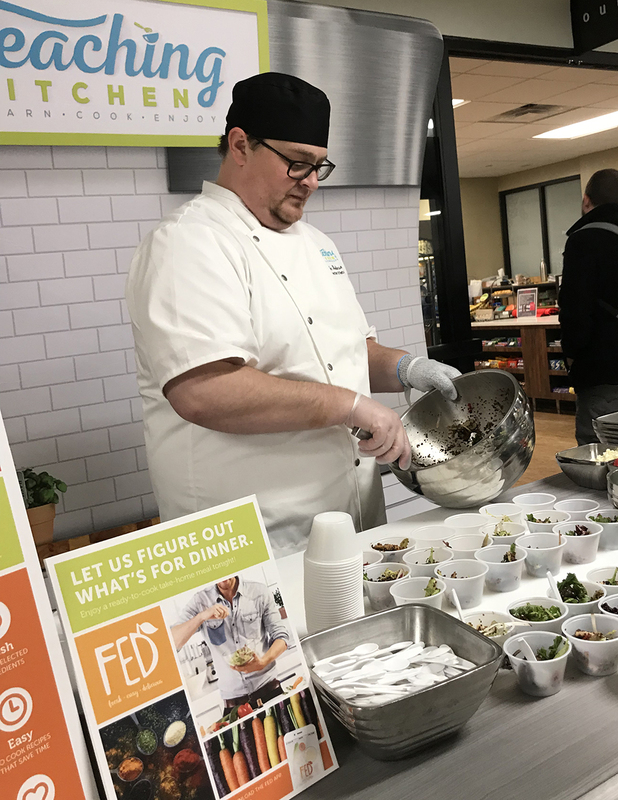 The Teaching Kitchen will educate students on the proper ratio of grains, proteins, dairy, fruits and vegetables by partnering with the MyPlate organization.